Yogourt can be spelled many ways so I've gone with the preferred Canadian spelling as it can be used in English and French. Yeah, maybe this is a lame topic but 'y' can be tricky and this is something that is different between Winnipeg and Davao. Tomorrow's post will be way more awesome! Nearly ever supermarket has a display like this. 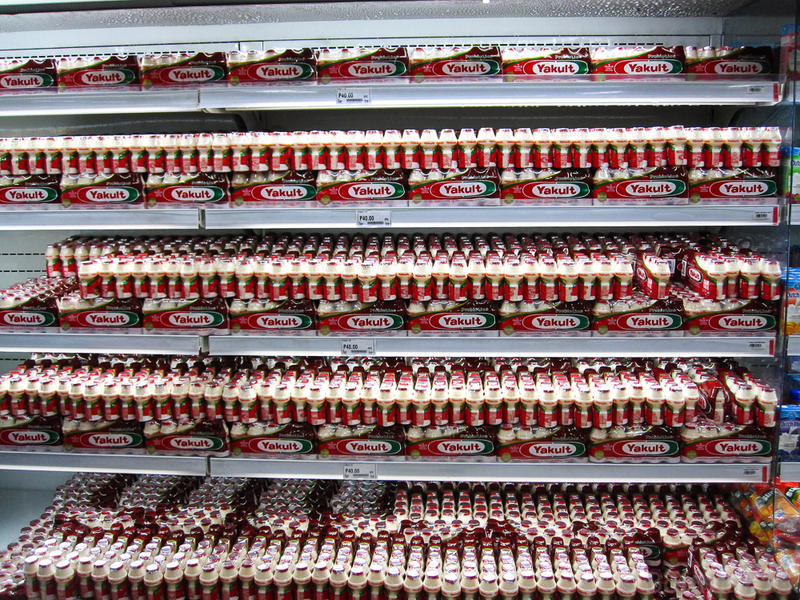 Bennywho, in Davao Yakult is the thing! It's not technically yogourt but rather a cultured milk product. It's from Japan and kind of a big deal in Asia, from what I read. It is very thin and the 'original' flavour tastes like key lime. It's nice but not as much fun as the things you can make with regular yogourt. Didn't know you could spell it as yogourt! That is new info. 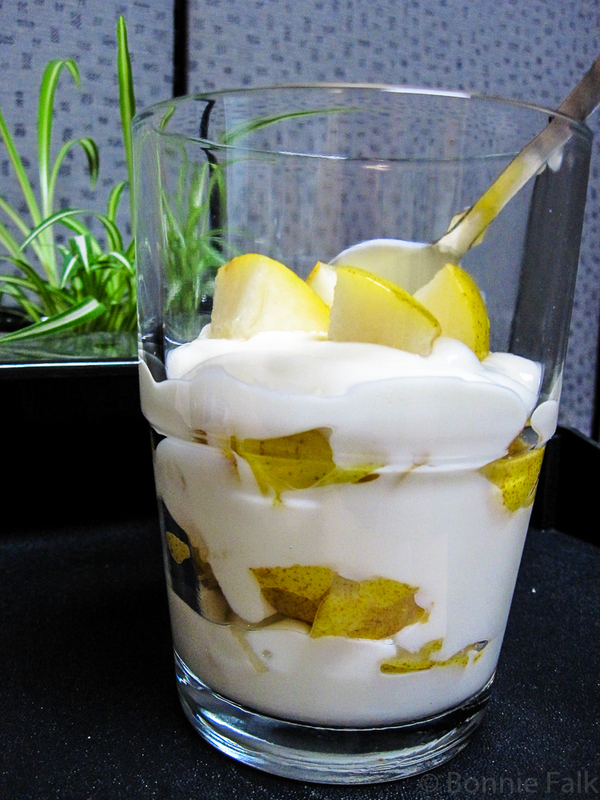 I love yogurt and Yakult and considered blogging about them for Y too. I've never really been a fan of yogurt. The frozen kind, maybe, but not the regular kind. My dogs, however, love it. Dogs love it? That is so weird! It's easy if you can get the right stuff! Mmm. 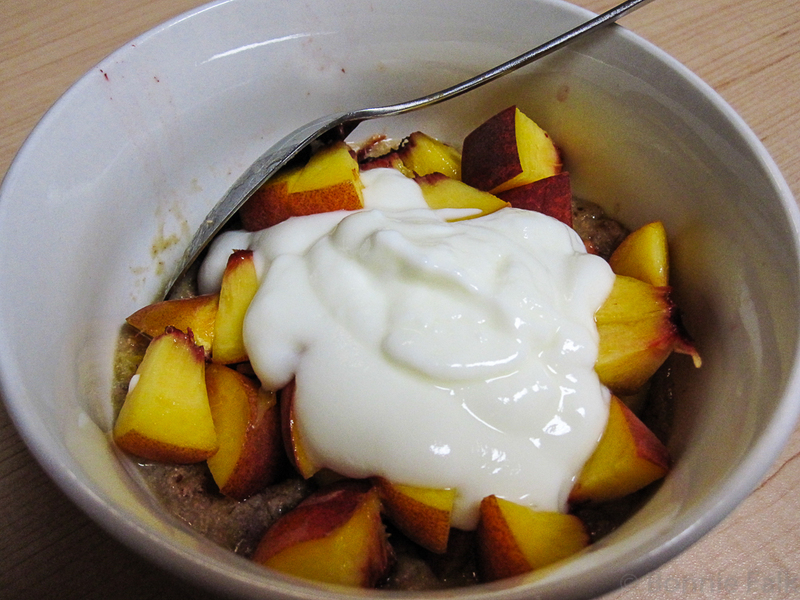 Yogurt with peaches and oatmeal looks sooo tasty. Some of that, please! I used to eat yogurt a lot, but after getting teeth pulled and then getting my wisdom teeth out, I don't eat it that often. I still love the taste but I got really tired of the textures after a while. I was like that with Jello and a school contest incident. Eventually I got over it. But, yeah, I can see that the texture would not be for everyone.